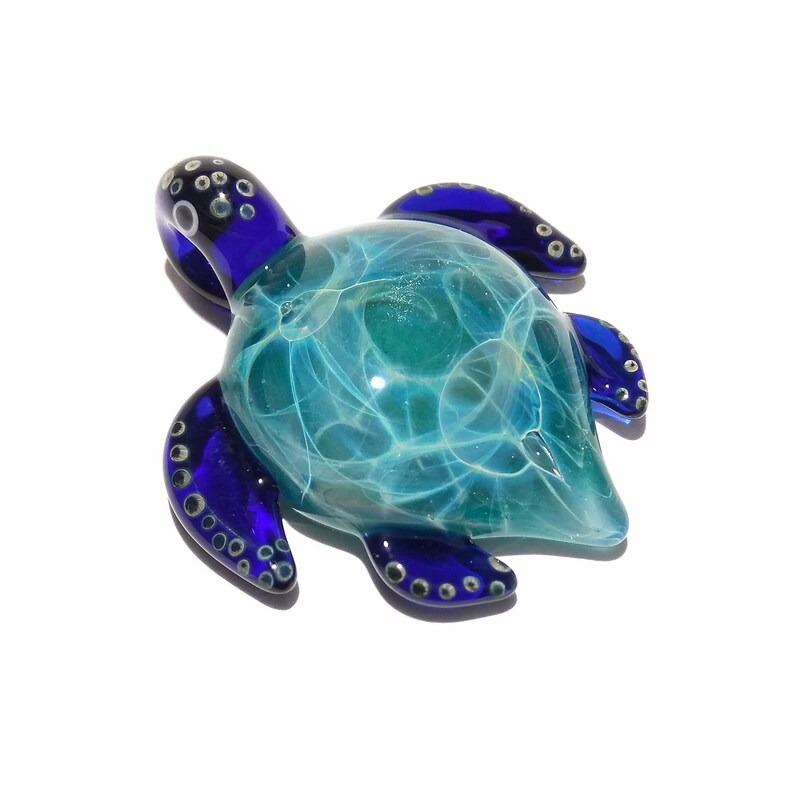 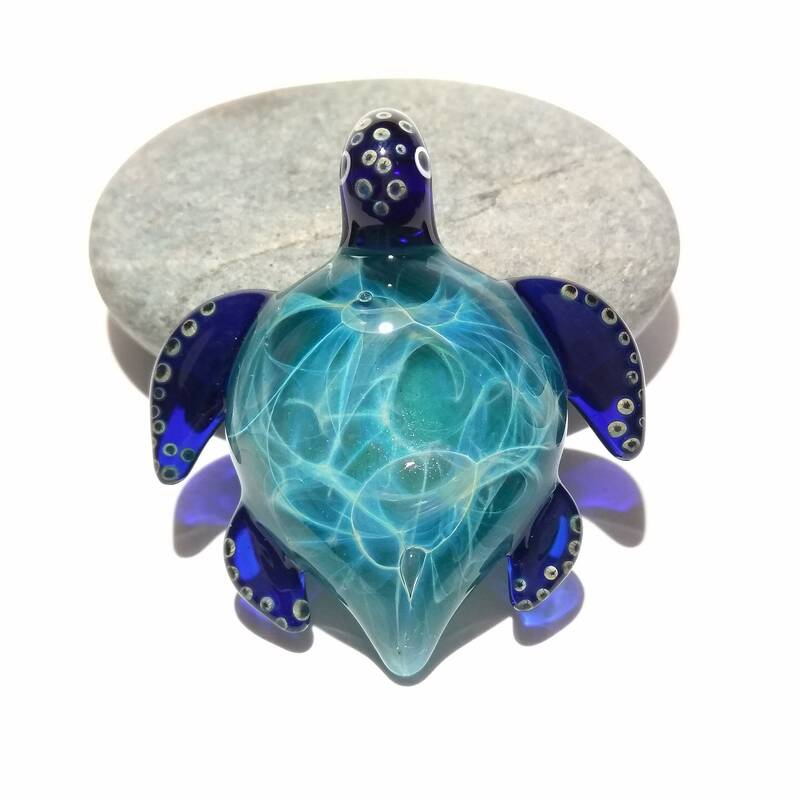 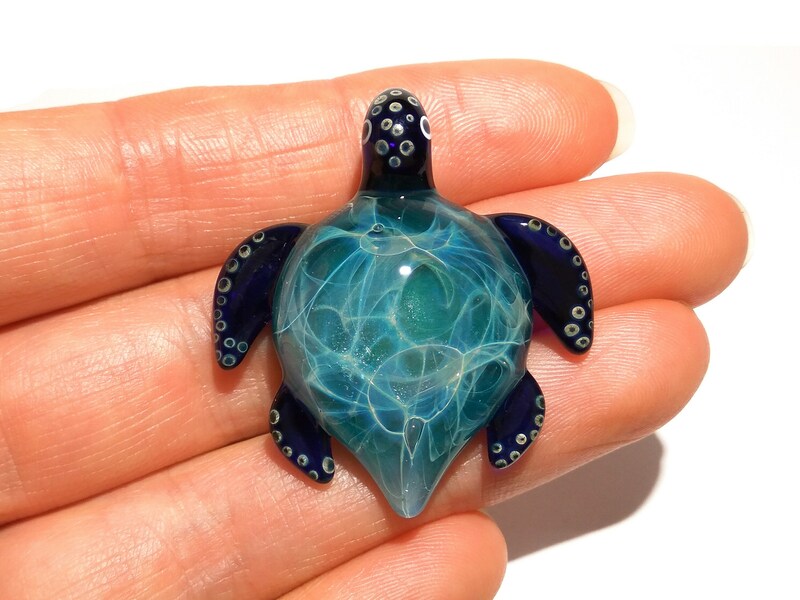 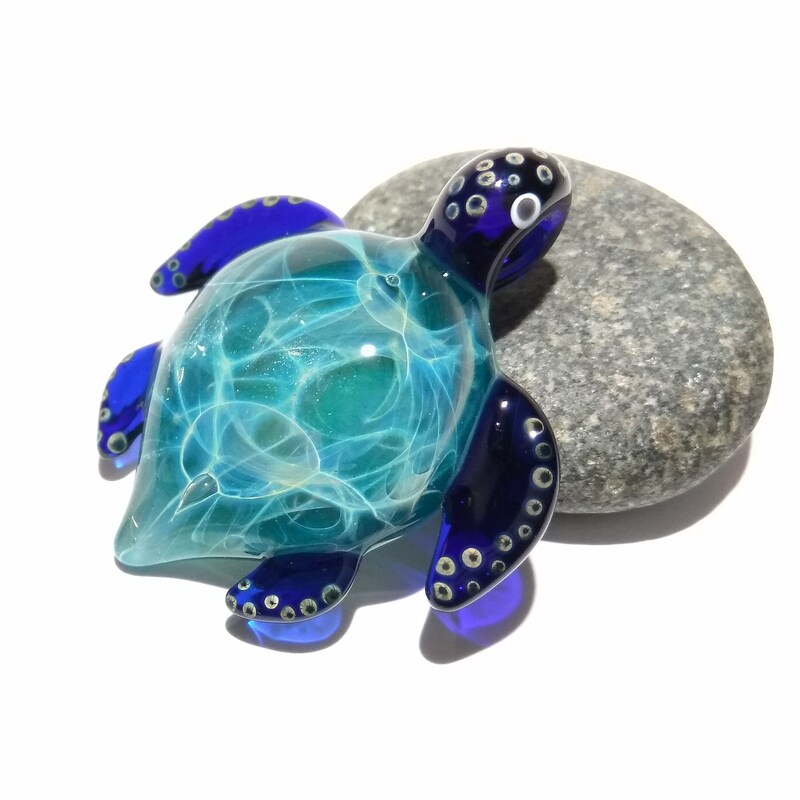 This handcrafted turtle pendant is made from blue luster, cobalt and teal borosilicate glass with details of pure fine silver fuming. 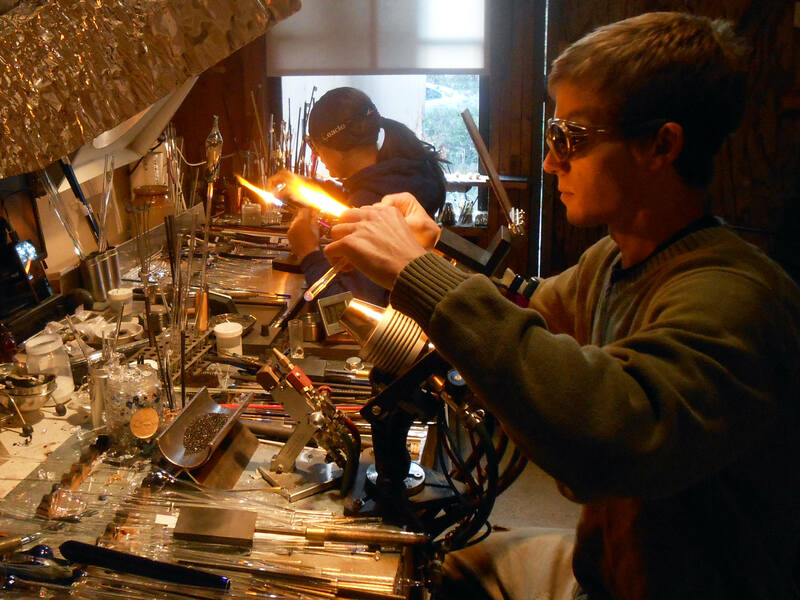 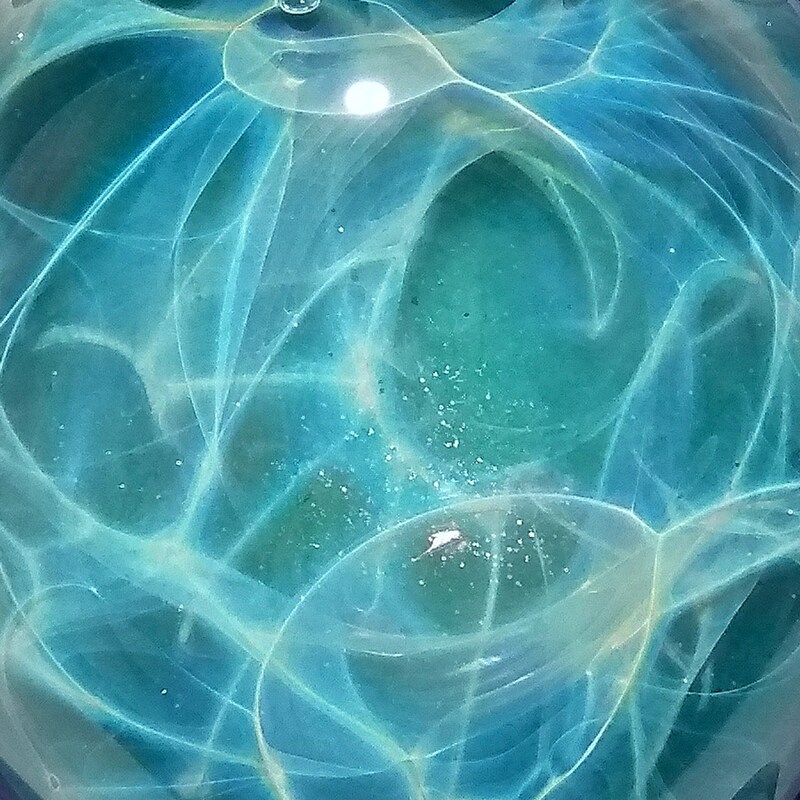 A one of a kind piece symbolizing the universal structure of galaxies. 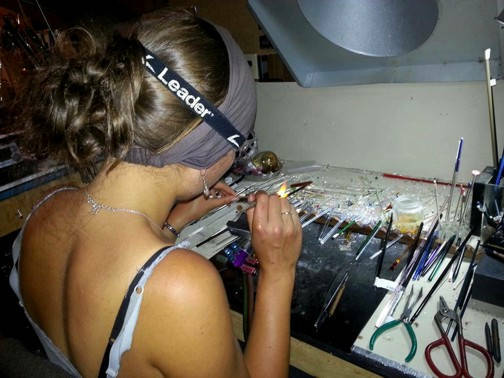 Each piece is artist signed.